We’re back for week 2 of our DIY Holiday Gift Giving series and this week we’re tackling all things Milestone Gifts. From a first home to a baby’s first Christmas we’ve got your milestone gifts covered. Our collection of milestone gifts are personalized for the special person in your life and are easy to customize for your needs. Before ordering your supplies for this week's projects check your stash from last week and make sure you use our discount code 8WEEKDIY to save an additional 10% on your total purchase from shop.cricut.com (must be a $50 or more purchase and excludes machines and Cricut Access). Do you have a first time home buyer on your Christmas list? 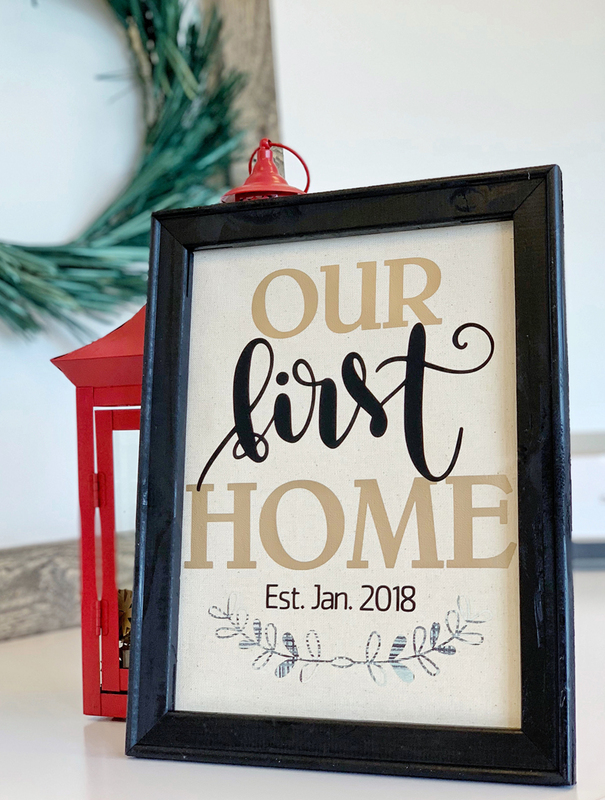 They’ll love this “Our First Home Reverse Canvas”. We kept our color pallet neutral to match any home decor. We love using Iron-on for our Reverse Canvas projects. No worrying if it will stick! New baby on your list? 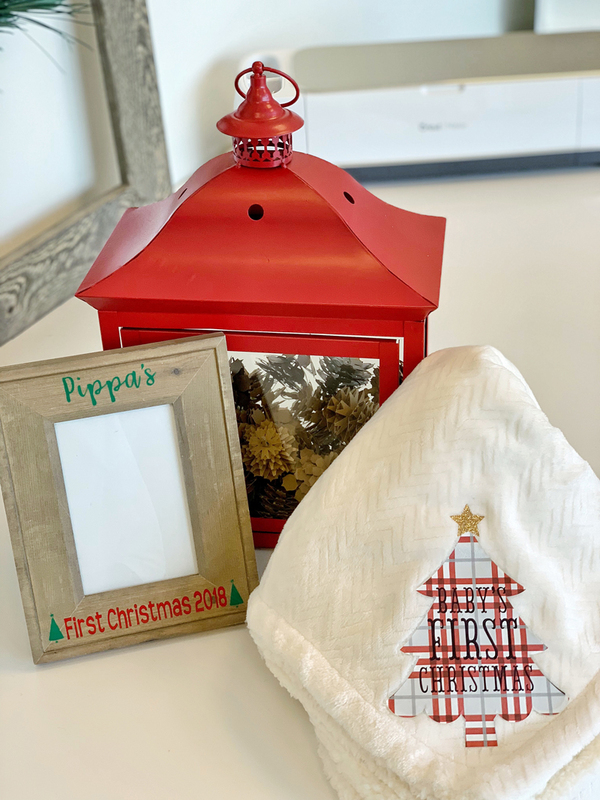 We used our Baby’s First Christmas project from Design Space to create this cute and snuggly blanket with our to-die-for patterned Iron-on. Looking to create something a little more personalized? Using the baby’s actual name create our First Christmas frame! With a new baby, you often get first-time Grandparents! 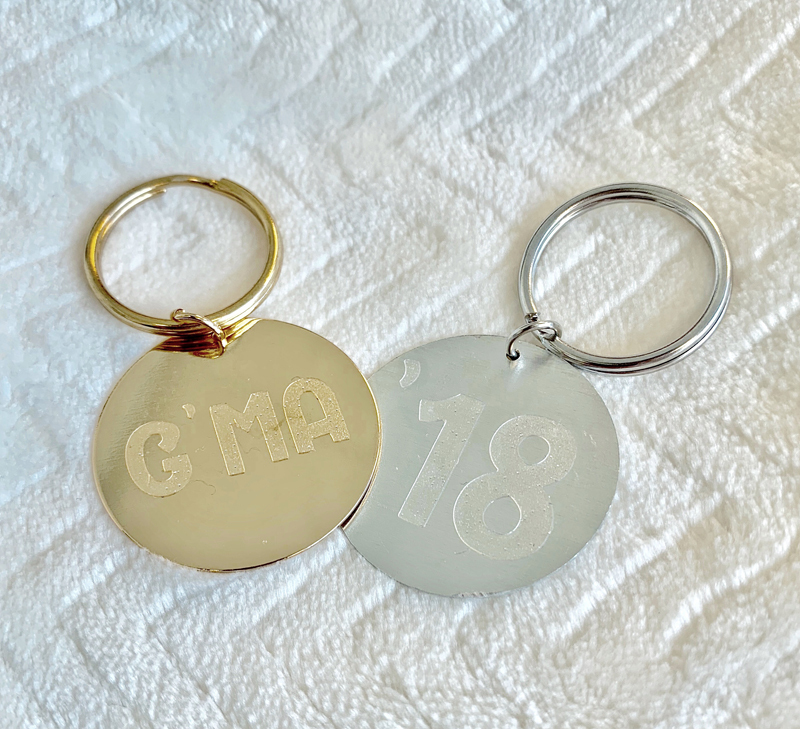 We LOVE how the Frosted Glitter Permanent Vinyl looks etched on these keychains, perfect for new grandparents! Our Permanent Premium Vinyl is perfect for projects that need staying power. The water and UV resistant permanent adhesive lasts up to 3 years even in the great outdoors! Sometimes Milestones are a little more personal. 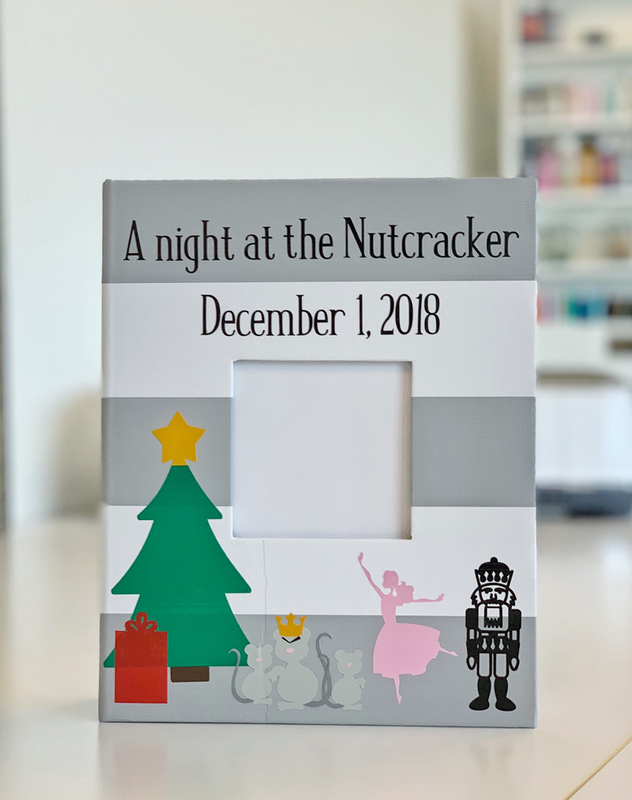 I created this Nutcracker photo album to celebrate my daughter’s hard-earned milestone of earning the role of Clara in this year's Nutcracker. The holidays are the perfect time to think about personal milestones and how you can celebrate each person on your list's individual accomplishments. 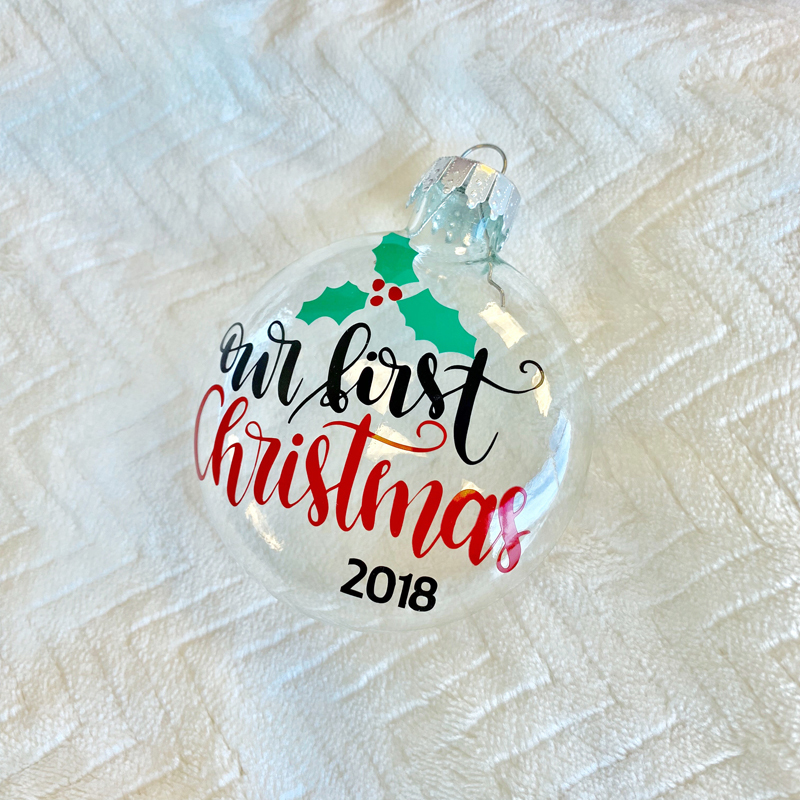 The first of our Milestone ornaments is to celebrate a couple's first Christmas. Personalize with the year they were married or you could take it one step further by adding names. I think we can all agree that graduation is a pretty huge milestone. With this simple 3 part Graduation Cap, you can personalize with name and year and also with the school colors! And now the milestone we are all looking forward to, retirement. 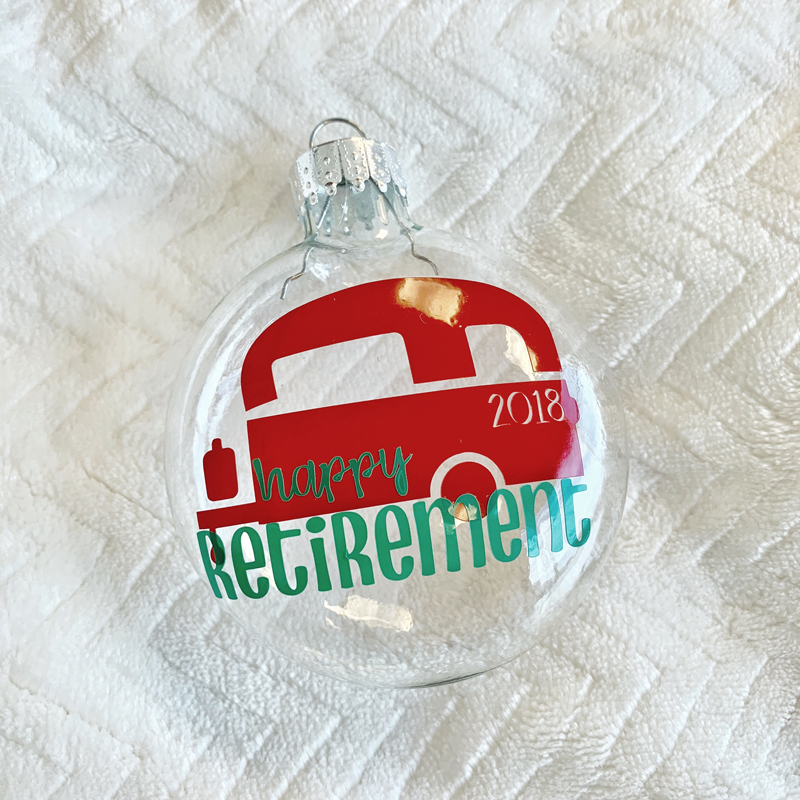 For our Happy Retirement ornament I used a camping trailer but you could easily personalize this project with whatever thing your retiree is looking forward to. Long days fishing? Annual cruise trips? 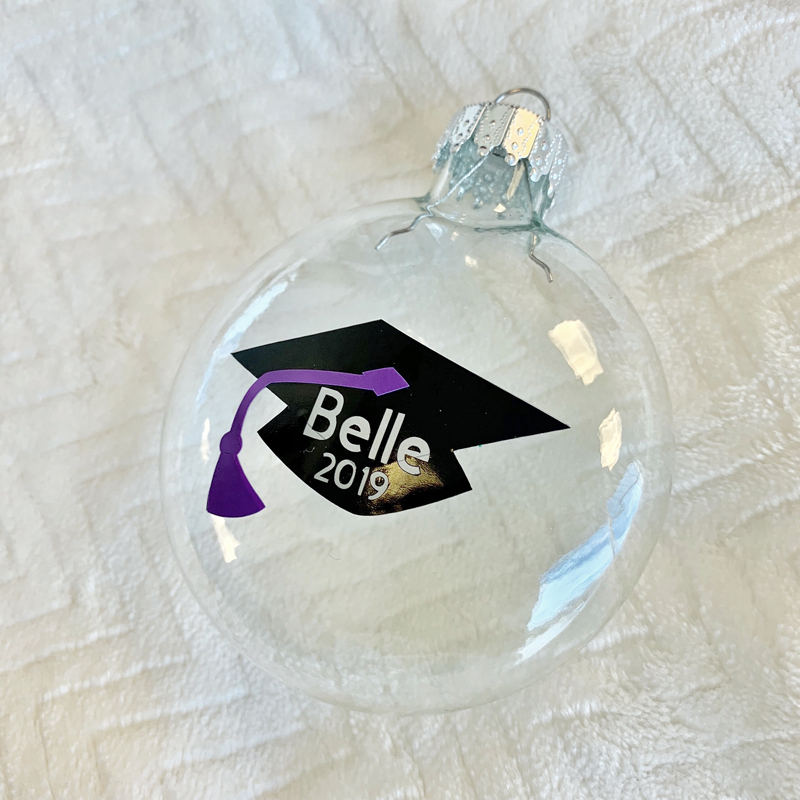 You can create an ornament perfect for your retiree. For more information about how we created these projects check out our Facebook Live! Be sure to tune in next week were I’ll be showing you easy and fun ways to dress up those gift cards!! !